One of the next phases in the preservation of the Green School will be painting the exterior. What color should the Green School be? 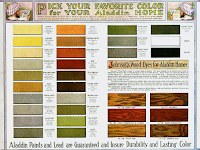 Visit Green School History to read about the historic colors and to vote for your choice. How interesting! I went over and voted. Of all the times my father took us to the Middleborough Fair (he went to high school in Middleborough) and constantly ran into people he knew there, he never mentioned much about the interesting history of Middleborough. As I grew up, I became curious and have spent many long, pleasant days there. When we get back to the U.S., I look forward to going to Middleborough to see the Green School. Oh, and I am glad to say that I have finally ordered my copy of "Images of America: Middleborough". I look forward to it sharing a shelf with the Carver book.